Foil blocks heat transfer best if it stays clean, is adjacent to an airspace, and the delta is large enough. Radiant heat transfer occurs between objects of different temperatures, and it always moves from hot to cold. That’s one reason why you feel cold when you stand next to a window in winter—you’re radiating heat toward the colder window. It’s also why you move from that cold window toward the woodstove—the radiant heat from the stove will warm you back up. Technically speaking, what’s actually radiating is electromagnetic energy, which is invisible and has no temperature. Electrons buzzing around inside objects generate that electromagnetic radiation, which raises or lowers the temperature of people and objects, depending on which way the energy is flowing. The temperature difference between the two objects determines the intensity of the net radiative transfer. If you were to use a radiant barrier, such as a sheet of foil, between you and the window or woodstove, you would not feel as cold or as hot standing next to them. The foil’s reflective surface prevents heat from being absorbed and prevents any heat that is absorbed from being emitted as radiation. 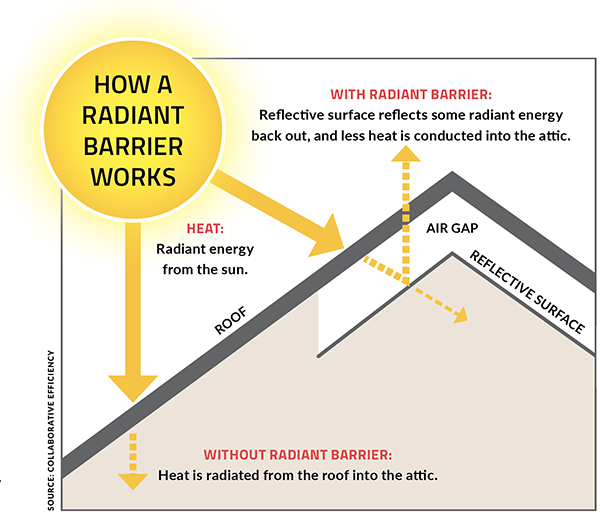 But radiant barriers need an adjacent airspace to reduce radiative heat flow. If they are put in contact with another material, heat transfers by conduction. In the past, a common location for a radiant barrier was on top of the attic insulation in a ventilated attic. This is actually a bad location, partly because it gets dusty and dirty in most horizontal applications, making the surface less reflective. More important in cold climates, however, is the fact that most radiant barriers are also vapor barriers, which stop the flow of water vapor. If a radiant barrier cools below the dew point, moisture can’t escape into the vented attic, so it condenses on the cold underside of the radiant barrier and can wet the insulation. So it’s important to place a radiant barrier in a location where it will stay warm enough that it is unlikely to reach the dew point temperature. In hot, humid climates, condensation in the ceiling insulation is typically less of an issue because the enclosure materials are vapor open, and moisture that reaches the ceiling plane from the attic easily diffuses in the interior space. 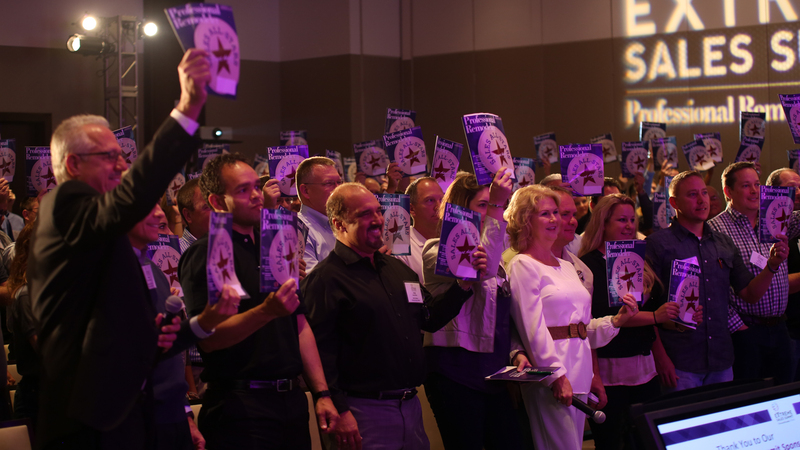 In the southern U.S., a better location for a radiant barrier is on the underside of the roof sheathing, especially when HVAC equipment is located in the attic. The radiant barrier can reduce the amount of heat transferred to the attic from the roofing, which increases the efficiency of the HVAC equipment and can result in small to modest cost savings, depending on many construction and enclosure variables. The radiant barrier can be installed directly against the sheathing, but installing the radiant barrier on the interior of the roof framing will perform better at reducing heat transfer because it has an airspace on both sides. In cold climates, the potential for condensation-related issues on the surface of a radiant barrier adhered to the underside of roof sheathing rule out this option. Interestingly, there have been studies and reports about the interactions of radiant barriers below the roof sheathing and lightning strikes to the roof assembly, because the radiant barrier is typically a foil film that has high electrical conductivity. One practical example of a radiant barrier that makes sense in both hot and cold climates is when a metal roof is installed on strapping, which is installed on top of foil-faced polyiso rigid insulation or on top of a radiant barrier placed over a different type of insulation such as XPS or stone wool. 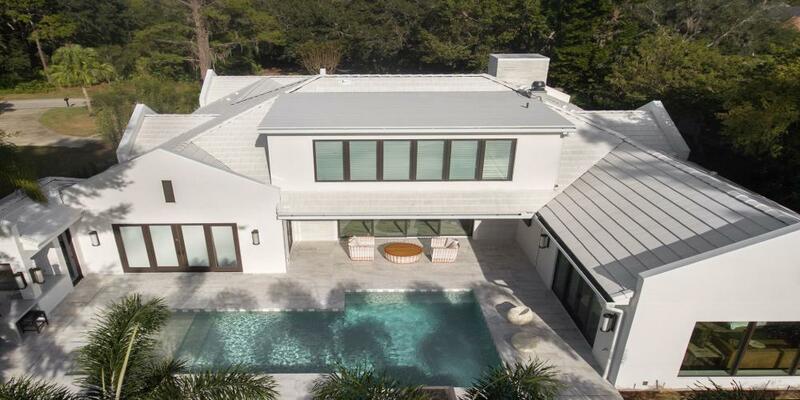 In either case, you can actually reduce the heat transfer from the roofing to the insulation during the day and heat transfer from the insulation to the roofing at night by minimizing the radiative heat transfer across the airspace. A radiant barrier works in walls, too. With a ventilated airspace behind the cladding, as in a rainscreen, if the next layer on the other side of that airspace is a radiant barrier, it could reduce the heat flow. Again, though, you have to be careful, particularly in cold climates where you don’t necessarily want a vapor barrier on the cold side of the wall assembly. Perforated radiant barrier material is available, but it can still be vapor impermeable enough to cause condensation. How much you reduce heat flow across the enclosure with a radiant barrier depends on how large the temperature differences are. As we move toward enclosure assemblies with higher R-values, radiant barriers don’t make as big a difference as they did when we had smaller amounts of insulation and a larger temperature difference. Finally, remember that a radiant barrier only works when it is clean and shiny, which preserves its reflectivity. If it gets dirty or dusty during construction or during operation, it stops working as a radiant barrier and works more like a typical surface. Jonathan Smegal is senior project manager at RDH Building Science Laboratories, in Waterloo, Ontario. This article was adapted from “Vapor Permeance: 7 Minutes of BS,” a building science podcast series at ProTradeCraft.com.